Dance along with the wind of God, be bathed in the primal waters, and look with awe and wonder on the myriad creatures God has made. Spend a day, a week, a month, or the whole year basking in the wonder of both fruit and flower, night and day, and everything that creeps upon the good earth. You are part and parcel of the very good creation God has made. Join watercolor artist Kathrin Burleson and diverse voices from across The Episcopal Church in exploring the wonders of Creation and the beauty of the Creator. 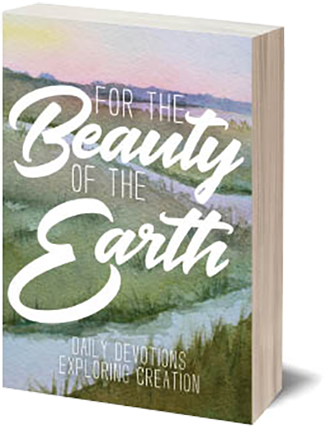 Burleson’s Creation-inspired watercolors offer inspiring visualizations that enhance the book’s 365 daily meditations, written by authors like Minda Cox, Jason Leo, Mary W Cox, Bishop Barry Beisner, and many others. Walk the historic tradition of the Stations of the Cross in new ways. This coffee table book features the paintings of artist Kathrin Burleson as well as soul-searching reflections on her creative process and spiritual journey. Each station also offers devotions from key leaders in The Episcopal Church, including Presiding Bishop Katharine Jefferts Schori and the Rev. Alberto R. Cutié. In images, stories, and prayers, these stations reflect the Passion of Christ, exploring betrayal, judgment, and suffering but ultimately celebrating the great triumph of life over death, the Resurrection of Christ Jesus. (An) absolutely amazing book. I will cherish forever. It is unusual to be so moved by art and writing by one author in one book. . . Her art is transforming, her wisdom inspiring. Kathrin Burleson’s Stations are done in watercolor, but they almost seem to be painted in pure light, so strong is the glow from within each painting. This is a book you won’t read once and put on the shelf. Rather, it will become a friend and constant companion on your spiritual path. The production of this book is exquisite . . . a treasure that will not rest on any coffee table. It cries out to be picked up and explored. In it I found layers of reward and inspiration. Each piece of her art is beautifully shown and helps you grasp the heart and soul of her journey. This book is unlike most in both beauty and the way she helps you capture the biblical stories and make them personal and real. The Stations of the Cross are quite moving to me. This book provides a visual journey that is a close second, and a new way, to see and journey on THE Way. I commend it to you this Lent as we journey toward Jerusalem. The Soul’s Journey is as visually captivating as it is spiritually nourishing . . . With beautifully crafted watercolors, author and illustrator Kathrin Burleson shows readers that although the way of the cross is not easy, God’s presence with us gives us strength for the journey . . . The book invites you to enter the drama and as you do, to be transformed by the story and make it your own. 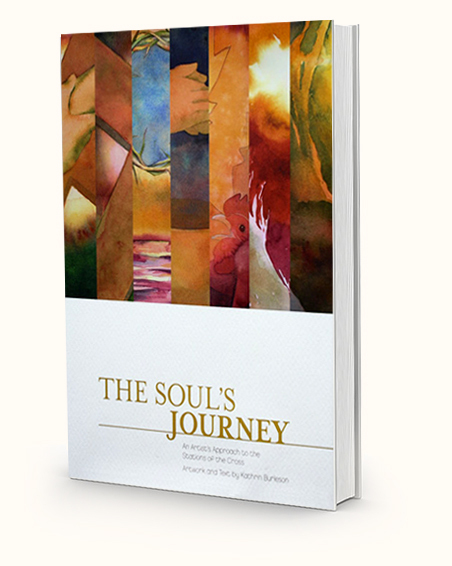 Kathrin Burleson’s new book The Soul’s Journey: An Artist’s Approach to the Stations of the Cross is a marvelous testimony to her life as an artist and as a person of deep Christian faith. The book is beautifully illustrated and the writing thoughtful and inspiring.